Hamas urges PA to cut ties with the U.S. in the wake of Ambassador Friedman’s criticism of it. 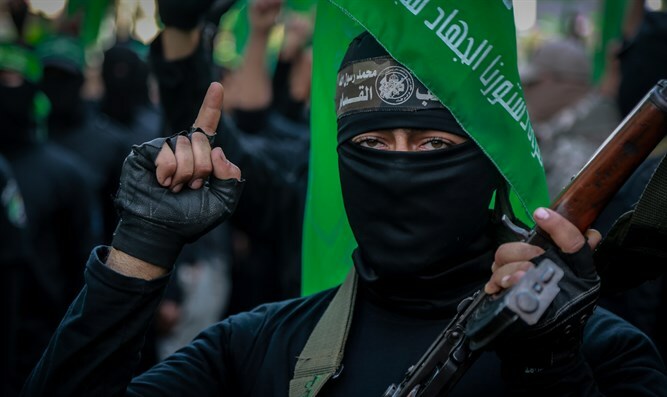 The Hamas terrorist organization on Saturday urged the Palestinian Authority (PA) to cut off ties with the United States, in the wake of U.S. Ambassador to Israel David Friedman’s criticism of the PA’s response to President Donald Trump’s recognition of Jerusalem as Israel’s capital. “These comments as well reflect his ignorance of Palestinians' inherited right to their land, and utter disregard for international law which deems Jerusalem an occupied city,” added Barhoum. “These comments made by the ambassador serve as a justification to cut off relations between the Palestinian Authority and the American administration. In addition, the time has come to end the American- sponsored Oslo Accords which have failed the Palestinian people and led to more losses of their rights while it maintained the Israeli existence on Palestinians' land,” he concluded. PA chairman Mahmoud Abbas has already declared he would "no longer accept" any peace plan proposed by the United States in wake of Trump's decision on Jerusalem. "The United States has proven to be a dishonest mediator in the peace process and we will no longer accept any plan from it," Abbas said. The PA had also planned to boycott a visit to the region by U.S. Vice President Mike Pence, which was ultimately delayed to the vote on the budget in Washington. Mousa Abu Marzouk, a member of Hamas's political bureau who is one of the most senior members of the organization, recently said that the Oslo Accords signed between Israel and the Palestine Liberation Organization (PLO) in 1993 are long dead and that all existing arrangements have nothing to do with those accords. Hamas does not recognize Israel and its charter openly calls for its destruction, despite the fact that it was updated a few months ago and now includes an acceptance of a Palestinian state along the pre-1967 borders.